Honey is an very nutritional and popular food. It is a good substitute for sucrose. As Singapore become more aware of negative effects of sucrose, honey has gain increasing popularity in Singapore. It is now a staple item in most Singapore homes. Honey is a sweet fluid produced by honeybees and other insects from the nectar of flowers and plants. Honey produced by different bees or insects have different properties. It is, in essence, a sweet and viscous fluid, produced by bees and other insects from the nectar of flower. It is much sweeter than table sugar and has attractive chemical attributes for baking. It has a unique taste such that some people use it as their main form of sweetener. Liquid honey does not spoil, that is because of it has high sugar concentration and it can kill bacteria by the process of plasmolysis. Natural airborne yeasts cannot activate within it because the moisture content is too low. 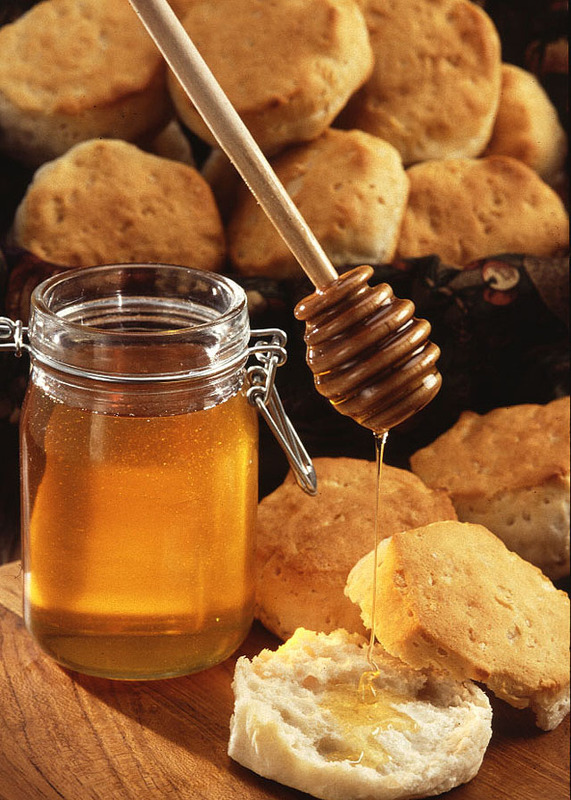 Natural, raw honey varies from 14% to 18% moisture content. As long as the moisture content remains under 18%, virtually no organism can successfully multiply to significant amounts in honey. The color and flavor of honey differ depending on the bees' nectar source. In general, lighter colored honeys are mild in flavor; while darker honeys are usually more robust in flavor. Honey is primarily composed of fructose, glucose and water. It also contains other sugars as well trace enzymes, minerals, vitamins and amino acids. Honey is a mixture of sugars, water, and other compounds.It has a density of about 1500 kg/m3 (about 50% denser than water).